Picnic season is here! 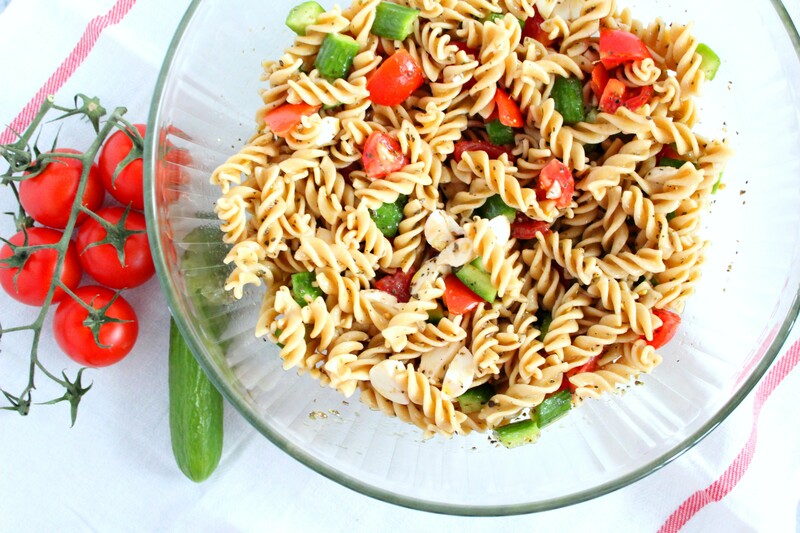 Make this easy whole wheat pasta salad for your next picnic or outdoor event. Tip- make this healthy side in advance. It’ll save you time the day of and it tastes better the longer it sits. 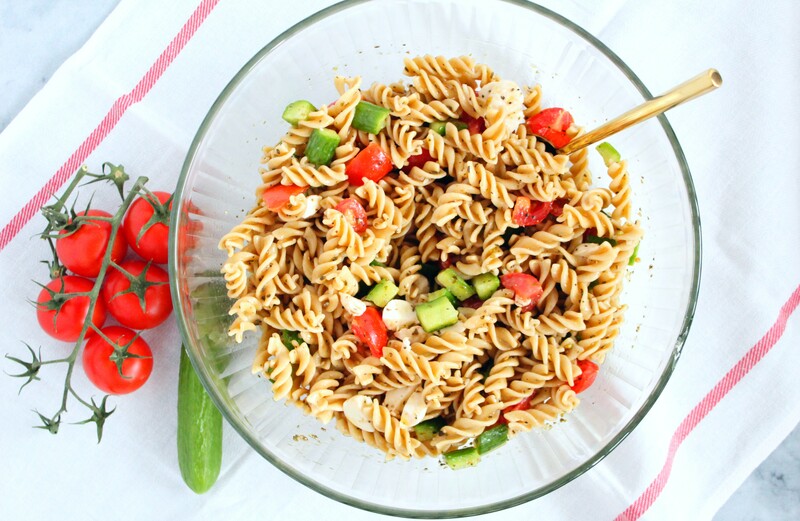 This healthy whole wheat pasta salad recipe is here just in time for your spring events. It’s beyond simple to make and taste better the longer it sits. Prep this dish ahead and save yourself time the day of. My easy pasta salad is the perfect summer side, picnic addition, or week night dinner. This pasta salad is certainly a crowd pleaser. With it’s tangy red wine vinegar dressing, mozzarella cheese, crunchy veggies, and whole wheat pasta, this bowl has something for everyone! Picnic season is here! Make this easy pasta salad for your next picnic or outdoor event. Tip- make this healthy side in advance. It'll save you time the day of and it tastes better the longer it sits. Bring a large pot of water to a boil. Add the pasta and cook it until al dente. Strain the pasta and transfer it to a large bowl to cool slightly. Toss in 1 tsp olive oil. While the pasta cools, make the dressing. In a small bowl, whisk together all of the dressing ingredients, except for the olive oil. While whisking, stream in the olive oil. Season the dressing with salt and pepper, to taste. Add the tomatoes, cucumbers, and mozzarella cheese to the bowl with the pasta. Pour the dressing over the pasta, tossing to combine, then cover the salad and refrigerate it for at least 3 hours. When ready to serve, toss the pasta salad again and enjoy cold or at room temperature.